Moosk is the oldest vessel in our fleet, a classic gentleman’s cruiser, she is beautiful and fast. 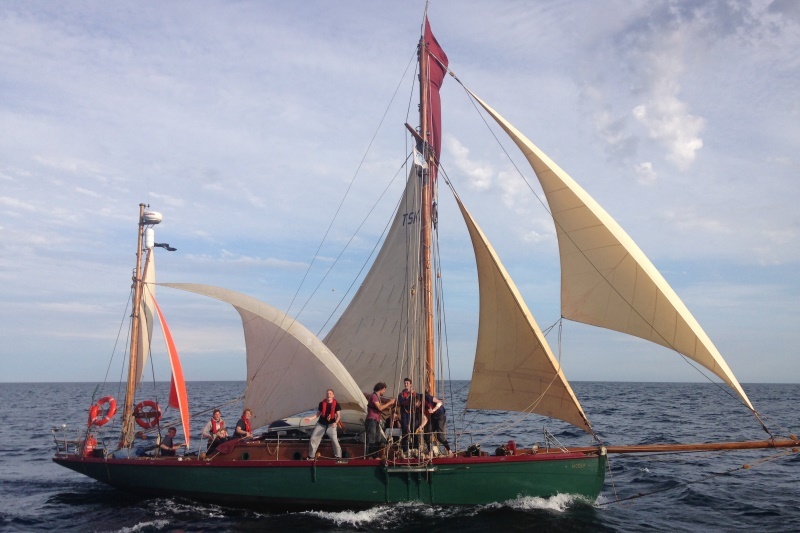 She is equally well suited to group sailing as individual teenage sailing weeks and is particularly good as a platform for small groups requiring close supervision. She is the smallest of The Island Trust vessels and as such is easy for our younger crew members to handle safely under sail and motor. 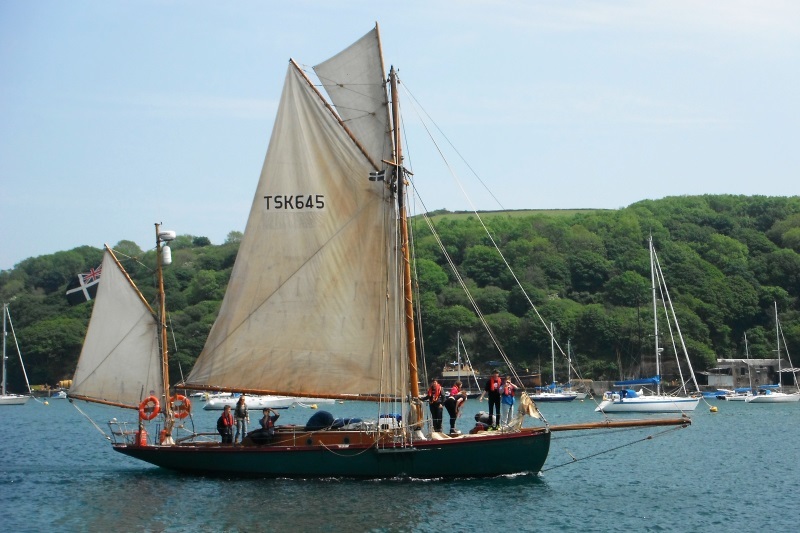 She is also perfect for DofE Expeditions and our adult RYA courses, a recent addition to our sailing programme. Moosk races competitively in both Small and Tall Ships Races and achieves very high ranking. Built by W.H.Thomas in Falmouth in 1906 as an auxiliary yacht, she was one of the first boats to be built with a motor and ‘sparks’ for lighting the cabin. After being the joy of many owners during her first forty years of life, her sailing history is somewhat obscure and she was found abandoned and wrecked in Glasgow in 1998. Rescued by Eyemouth International Sailing Craft Association and transported to East Anglia, her re-build was completed by G.Brown & Son in Southwold, Suffolk and she was re-launched on 21 August 2001. In January 2012 she was sold to The Island Trust. In 2015/16 we carried out major works to ensure her ability to support our charitable work with young people for many years to come, whilst also respecting and maintaining her historic importance. We were fortunate to secure funding towards the works from the Heritage Lottery Fund and the DM Thomas Foundation for Young People and we are very grateful for their support. We are incredibly grateful for funding from Arts Council England through the PRISM fund which enabled us to carry out keel repairs during the winter of 2017/18, including a new inner stem and stronger floors. A very strong construction of oak frames and teak planking strapped with iron floors and knees, she is a sea worthy vessel, rigged as a gaff yawl, simple and handy to sail with a fine and deep hull that makes her light through the water.